Entry filed under: Gifted / Classical Testing. Tags: south loop regional gifted center, south loop rgc. As someone who attended numerous meetings at Bell to address the overcrowding, I can tell you that removal of the RGC was always introduced as possible option but it always ended up being pulled off the table. In the end I think clout had a lot to do with the expansion getting the green light. But like most things involving the tricky interplay between CPS and the local alderman, it ended up being shrouded in considerable secrecy. for me this speaks to the nagging feeling that the rug could be pulled out from under our family at any moment, despite the great options we have found for our kids at cps. Would some from South Loop Gifted please FOIA this report and share? Many here would be interested, I’m sure. No idea and it drives me nuts! In a city that is hell bent on measuring performance, the “total” data for those schools is garbage. One of the reasons that there is overcrowding at Bell is because it is a great school in a location people are happy to move into for the school, and one of the reasons it is great is because it contains a RGC. There would still be overcrowding even if the RGC was pulled, that’s how that neighborhood is. FYI, CPS in one of their typical done deals forced Edison RGC to leave the bldg it had been in for over 20 years. It’s parents had invested hundreds of thousands of dollars in the school for basics CPS didn’t provide over the course of more than 2 decades and they were forced out in the name of solving over crowding in other neighborhood schools in the immediate area. Two+ years later the Edison bldg was still not up to 50% capacity, even though many parents of that community complained of overcrowding during the useless meetings held beforehand. There is no school so good, no school whose parents are involved enough to prevent destructive, brain dead interference from CPS. Don’t believe what they say, and be warned. CPS is deaf to parent voices unless you happen to want what they’ve already decided to do. Over the years, CPS has systematically relocated regional gifted centers from primarily white, middle class neighborhoods to minority neighborhoods. The list includes Lenart RGC, Edison RGC, and they attempted to move Keller RGC. 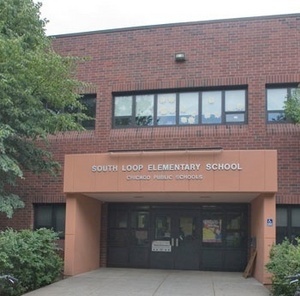 I believe that in response to CPS’s failure to relocate Keller School a few years ago, the new strategy at South Loop was not an outright closure/relocation. Instead they have opted to kill the program by starving the school of students, then they will open a “new RGC” at a location like Princeton AC School, which was where CPS tried to move Keller RGC. Not sure why they keep doing this. They usually claim that it is because of overcrowding, and this may be true to some extent because CPS has many underutilized buildings in areas that are unsafe, or the housing stock has deteriorated so much that there is not enough people living in the areas to fill the school. Did I hear someone say FOIA? Speakers will be Maryam Judar, an attorney with the Citizen Advocacy Center, Natalie Brower Potts, head of the Center for Open Government at the Law School – the only one of its kind in the nation – and reporter Angela Caputo of the Chicago Reporter. They will walk us through the basics of getting information and then standing up for our rights to get information when we run into obstacles. They will also talk about how we can make sure we have access to meetings that we need to report on. It’s key to doing our work. For the Headline Club it is also a sign of our dedication to make sure government agencies give us the information we need and we don’t back down when we know we doing our jobs. Our research last year, funded by the McCormick Foundations, told us that many of you run into heavy obstacles in getting the information you need. That’s why we are creating a FOIA online guide to tell you who the FOIA officers are here in the Chicago area and at state agencies. And why we are setting up a website to let you know about court cases, legal battles and everything linked to Freedom of Information in Illinois. Again, the funding comes from the McCormick Foundation. If we don’t care about this, nobody else will and we’ll quickly lose reporting footholds that took years to establish. So please join us this Saturday and please let us know what more you think we should be doing about your rights. To register for the FOIA event above, you should email the Chicago Headline Club at chc.spj@gmail.com to confirm attendance. The closing does make sense, if you consider that this program did not meet many of the criteria that make a RCG -foreign language, and a gifted coordinator, among other things. The curriculum centers around core subjects, with no enrichment courses, and the gifted curriculum was not accelerated or differentiated the way it is at the other successful RCGs. In fact, students from the “neighborhood” program easily transfer into the gifted, and they seem to be on par academically -which is a good thing, in a way. But this was not a gifted program in the true sense of the term. The label did attract a lot of people who would have probably send their kids elsewhere. Anybody know anything about this possible merger? @8 – I wonder if your comments go along with CPS trying to decide the purpose of RGC’s now. It can’t be to keep certain families in the city and in CPS or they wouldn’t keep moving them to or opening them in less safe neighborhoods. Linking in to the other discussions regarding SEHSs. If you’re wondering why so many families are going to private schools, it’s because of stuff like this. As a parent, I am now so terrified of CPS that I will likely send my kids to private schools even if they are accepted to an RGC. The city clearly does not have the best interests of children or families in mind and the beaurocracy seems impenetrable. Some probable reasons are that since CPS doesn’t disagregate the scores of RGC’s, relocating them creates the illusion of improvement of test scores overall. It also creates the illusion of having better schools in the neighborhoods that need them. I don’t see any other explanations for causing the massive disruption that a move inflicts on a school community, especially when they are forced into the logistical nightmare of sharing a building with another school. The end result is way more stress for staff and teachers at both schools who should be focused on teaching, not adjusting schedules so that a flood of kids aren’t trying to leave the building at once every day and other things like that. @14 , John, glad and sorry to hear that the school is now full and the over crowding persists. CPS has no vision or imagination when it comes to understanding the causes and nature of over crowding and then using that info to address the situation. Edison Park has a lot of land behind it where CPS could add capacity, but CPS knows so little about what the construction industry has to offer that they’ll never be able to take advantage of the many high quality off the shelf solutions that could be implemented (built) in well under a year. There are code compliant methods that can go from plan approval to completion in less than 6 months. Maybe if some of the companies that can do this made campaign contributions……. Decision was sudden because of lack of preparation. What a joke. CPS set up a task force three years to study this issue. Alderman Fioretti has been in discussions about overcrowding solutions for SLS since 2008! There are 188 out of boundary students in the neighborhood program due to principal selection. That is the cause of the demise of the gifted program. Overcrowding in the buidling will only get worse the next three years even with the phase out of the gifted. They haven’t addressed anything and it is clear from the meeting they have no idea what they plan to do. I feel bad for the parents and the community as CPS flounders with key decisions about one of its best schools. With regards to what RGC’s offer the system at large…Three years ago we would not have even considered CPS if not for the RGC and Classical programs. If RGC’s did not exist, but our neighborhood school had offered a gifted program, then I definitely would have considered the neighborhood school. So, from my point of view, it’s not necessarily that RGC’s are necessary, but when your kid is reading at a 5th grade level in Kindergarten, yeah, they need something more than a little differentiation can provide. An internal options/gifted/classical program would be fine, too, but possibly a bit less efficient than an RGC set up. When you have an RGC, you have an entire class of kids that is moving at the same pace. The teacher has one curriculum for the entire class. When you have an internal gifted program, you have to figure out how to structure it, because there may not be enough kids for an entire class. So, you would have to figure out how to separate out kids who are tracked 1-2 years ahead for academic subjects. I’m sure there is a precedent because I have heard some neighborhood schools do this. Has anyone heard about the RGC for Lenart? I’s far from where we live (we live 12 blocks from South Loop). If we reject Lenart, the offer letter stated that there are no guarantees that another RGC would be offered. Is it possible to speak to CPS and ask, based on my child’s test scores (134), if another RGC would be offered? It just seems crazy how “Russian Roulette” this system is!? My dd is in RGC at Pritzker. “Gifted” kids are the same as others, they are not all moving at the “same pace”. One curriculum sure, it’s accelerated so by the end of “3rd grade” they are working 5th grade level math concepts for example. BUT… the teacher still has to deal with kids at different levels. In DD’s class, they have 3 or 4 reading and math groups based, differentiated instruction given when possible based on where each group is in reading/math. DD’s got a high B/low A in math, there are some high A’s and a couple D’s too, grades, level of understanding all over the map. Now there are 28 kids in the class, so it would help if more were “moving at the same pace” but from an instruction perspective it’s like any other class/learning environment. We chose to put DD in an RGC because in her old school “gifted” education was a pull out program, 1 to 2 hours per week. The rest of the time, she was always the kid in the class who was done first or helping another child read or work on math problems, she was not allowed to move ahead. We wanted to see her pushed, we wanted to see what it would look like if she was in a group of her (on paper) intellectual peers. So far (in spite of some behavior problems in her particular class) we think she’s being pushed and seems to be keeping up and her teacher thinks she could do more. I also understand there are some “gifted” track programs at neighborhood schools, which employ some individual testing, like the Accelerated Reader program and then make recommendations for an individual child based on those test results. Right now we are tying to weigh whether it’s worth it to put up with the behavior issues in her current school or consider another RGC we’ve been offered, or look at a neighborhood school that might have a “gifted” track. (If anyone has a list of “gifted track” schools, could you pass that along?, that would be most welcome). While we know with RGC we can live anywhere in the city and attend our RGC; we prefer to live near enough to our school to walk/bike rather than commute. South Loop is overcrowded. It’s not getting additional space. What is your solution? I am both annoyed at reading all of your comments and happy that I am leaving Chicago (for another big city where I will have to deal with the same boneheadedness).